Nutrisystem Diet is weight loss that works! The Nutrisystem Diet has easy to follow plans and balanced meals shipped straight to you. It is all backed by the science of the Glycemic Index for optimal nutrition and ultimate satisfaction. 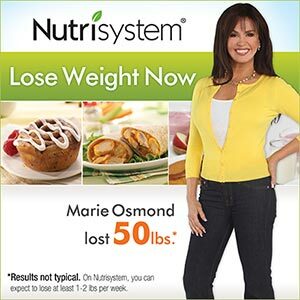 The Nutrisystem Diet is proven to help with weight loss for as low as about $11 a day! Check out today’s specials in the Nutrisystem kitchen featuring over 150 foods to choose from. 30 new and improved foods recently added. Discover a new you with delicious, perfectly portioned foods delivered to your door, plus no counting, weighing or meetings to mess with so you can lose weight and feel great! Move and Lose! Eat foods from the Nutrisystem Diet that you will actually enjoy. They offer simple plans that spell out everything for you. Join Nutrisystem Today, and Lose 13 Pounds in Your First Month!